U.S. stocks closed lower for a third straight day Wednesday, marking the Dow's worst losing streak this year. 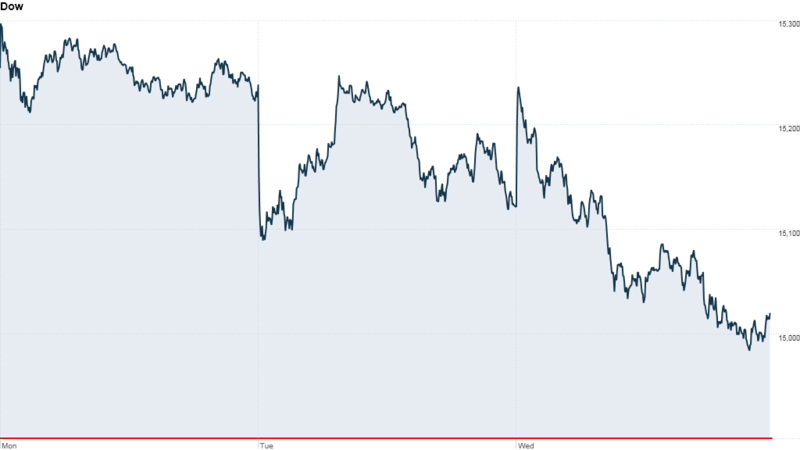 The Dow Jones industrial average, which initially jumped more than 100 points, finished down more than 120 points, or 0.8%, falling below the key 15,000 level once again. The 3-day slide was the blue chip index's first one of the year. Volatility has picked up in recent week amid increasing unease about when central banks will begin weaning investors off cheap money. The market's main fear gauge -- the CBOE Market Volatility Index (VIX) -- spiked almost 8% Wednesday, and has shot up more than 35% in the last month. CNNMoney's Fear and Greed Index fell into Extreme Fear for the first time in a year. Just one month ago, the index was in Extreme Greed. "Investors continue to assess the risks posed by the U.S. Federal Reserve pulling back on its bond-buying program and taking liquidity out of the market," wrote Ishaq Siddiqi, a market strategist at ETX Capital. The threat of lower liquidity has left the markets feeling "uncomfortable," he added. Despite the recent swing in the market -- both on an intraday and daily basis -- the major indexes have made healthy gains this year. The Dow is up 14%, while the S&P 500 and Nasdaq are up 13%. On the corporate front Wednesday, shares of Cooper Tire & Rubber (CTB) surged after India's Apollo Tyres said it would buy the American tire maker for $2.5 billion. 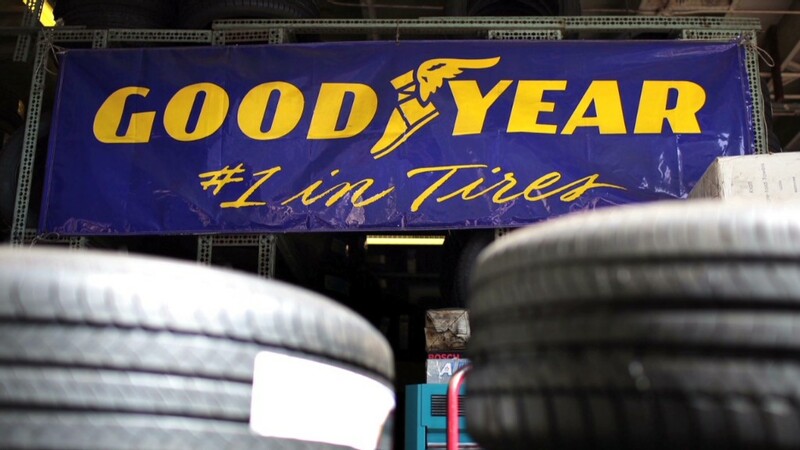 Shares of rival Goodyear Tire & Rubber (GT) also rose. First Solar (FSLR) shares sank after the renewable energy firm announced plans late Tuesday for a new stock offering.